D.O.L : Hello bloggers today i have done a reading post about Lady Esme and the stolen fire gems It talks about how some expensive Jewry has been stolen and Lady Esme try's to get it back look at my reading enjoy. D.O.L : Hello bloggers this is a presentation about seat belts and how they save lives : this was extra work from last week I was unable to finish. Remember were seat belts. Enjoy. Labels: 2017, litracey, Mrs ilaoa room 1, mubashshir, pt.england school, week7. Ponder : think about (something) carefully, especially before making a decision or reaching a conclusion. Discreetly : in a careful and prudent manner, especially in order to keep something confidential or to avoid embarrassment. Coincidence : a remarkable concurrence of events or circumstances without apparent causal connection. Blurted : say (something) suddenly and without careful consideration. It’s raining it’s pouring the old man was snoring, 5 little monkey’s jumping on the bed one fell down and had bumped his head the mother called the doctor and the doctor said we can’t put together the monkeys again. Athletics day is an annual school Event which happens every year. 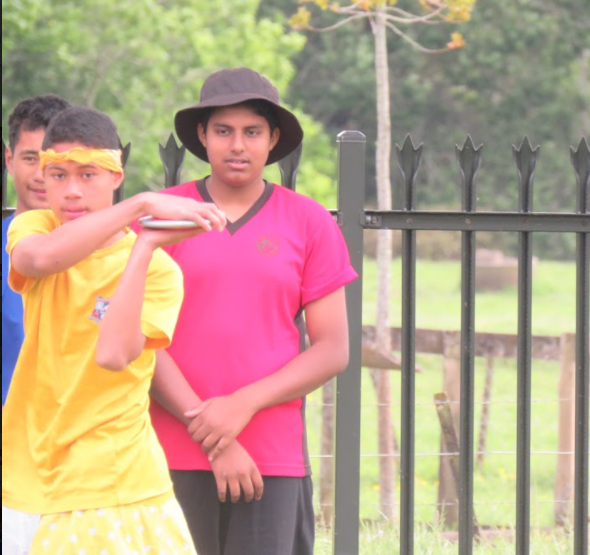 It consists of different types of sports like discus, shot put high jump, sprints and a whole lot more sports. Not only did we go and play different sports and have fun. Athletics is a super fun day for Pt England especially for the seniors. Part of having fun and playing different sports we had also made a promise to our self to try to beat our personal best. Personal best means achieving something you have already achieved in sports or anything you have done and you are trying to do your best at the sport to beat your previous scores. 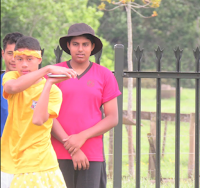 Athletics day was last week on Friday and it was my last one for this School. It was a super fun day. In the morning around 9:15 am everybody got ready and moved to the court from there we talked about athletics and we did our prayer. Finally we got in our groups just like last year year 8 boys were together, and year 8 girls were together and the other year levels were the same. 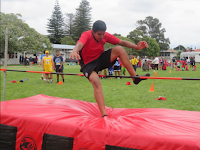 Some of my favourite activates were discus, high jump, volleyball, javelin and sprints. I was unlucky to come first second or third in any of the events. I really just wanted to have fun with the boys. My favourite event would have to be the discus because not only it was challenging it was also a good way to improve my throws. It was an amazing day. This was my last Athletics for Point England School. Thank you to all the staff for making Athletics possible it was amazing. Aspiration means what aspires you to do what you do. Inspiration means What inspires you or who inspires you to do things and finally put it together Motivation is what motivates you to get up and work. Quote : if you do what you love you will never work a day in your life - Marc Anthony and A.I.M Means AIM for success. the second thing I found interesting was be a giver, giver means being generous and not being greedy. And taker means Greedy and does not care about others thank you andrew for coming to talk it was really beneficial.